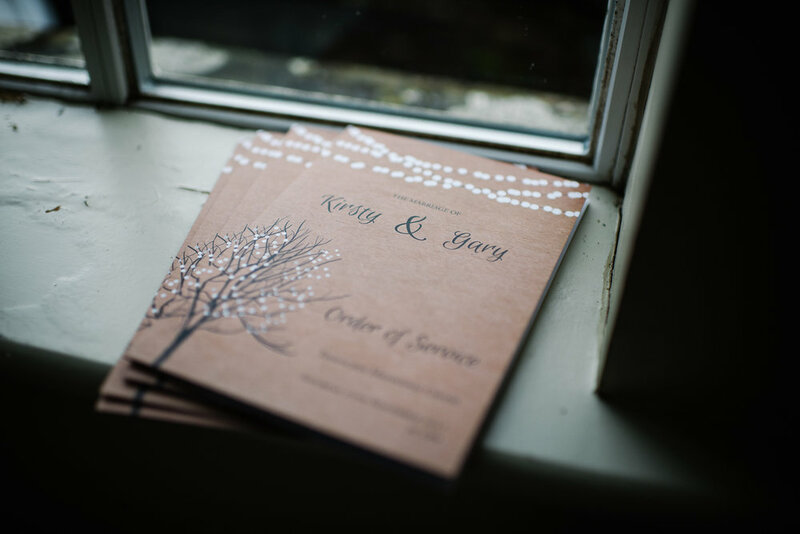 Kirsty and Gary got married late last year in the beautiful village of Tissington, in Derbyshire. 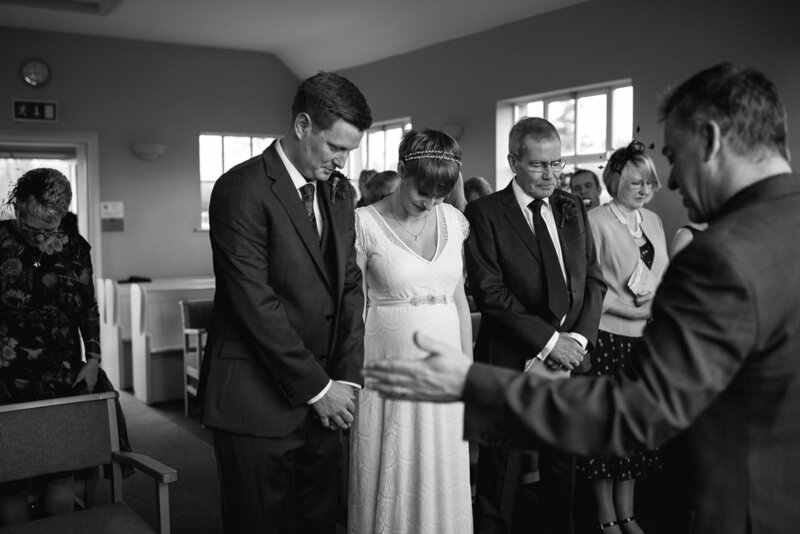 Their lovely ceremony was held in Tissington's tiny little chapel surrounded by fields and cows. 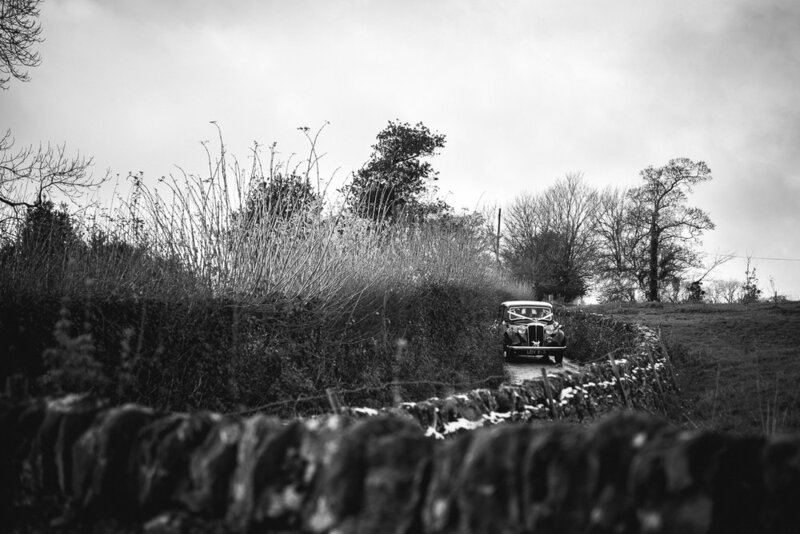 We had just about every kind of weather you could imagine; wind, snow, hail, rain and sunshine! But Kirsty and Gary battled again the cold and embraced the weather. 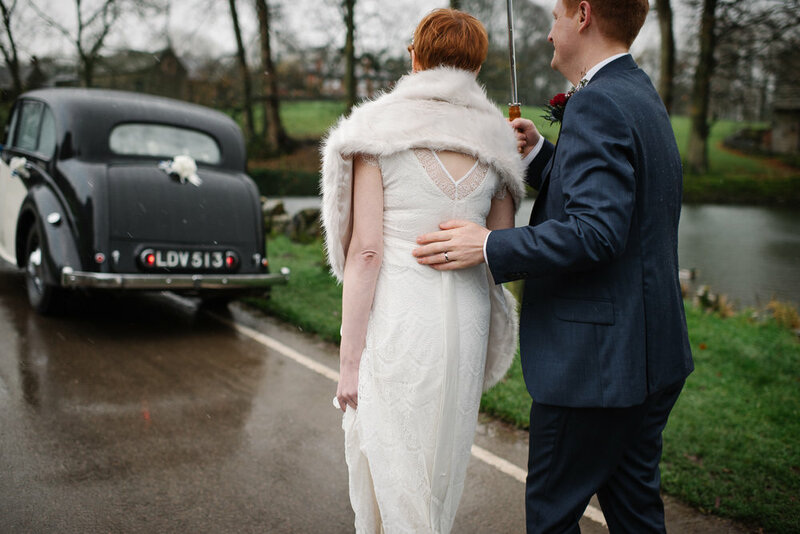 After the snow has passed and the ceremony had finished, everyone headed over to the nearby town of Ashbourne for the intimate evening reception at the White's of Ashbourne restaurant. The amazing cake was made by Kirsty's lovely sister, Laura. The details were incredible and you could really see the love that had gone into making it. How perfect are those super cute cake toppers?! 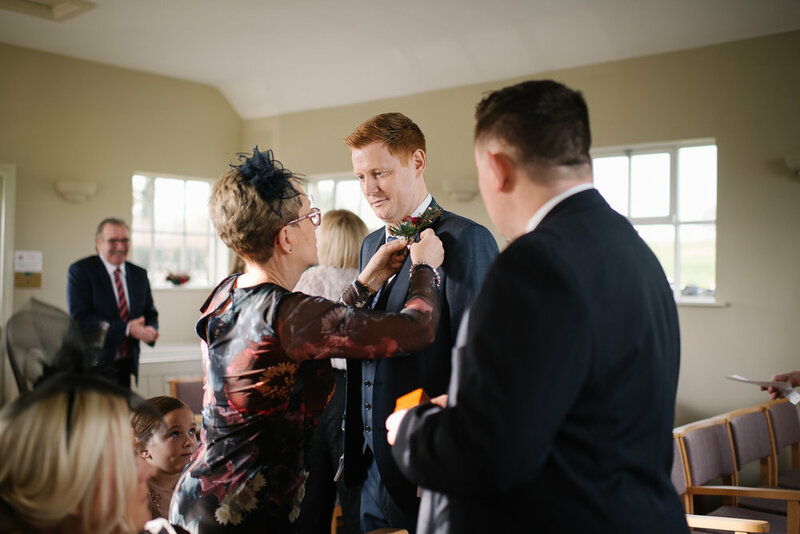 We loved being part of Kirsty and Gary's day and we'd like to congratulate them on the arrival of their little boy. What a wonderful way to start married life!